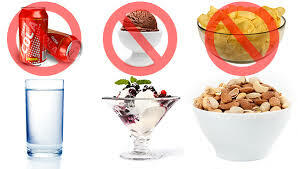 When you find a dentist in Columbus Ohio, the very first thing you will learn is to stay away from sugary foods and drinks to keep your teeth healthy. We do a lot of stuff just to protect our oral health and yet we still have dental issues. Having a solid dental care regimen does not assure you that cavities and plaques will not develop in your teeth. The main reason, mostly undermined by people, is our food choice. Our diet affects our dental health now more than ever as easy and conveniently cheap treats are available all day every day. To save your teeth and your pockets from the sugary, salty and acidic foods and drinks offered by manufacturers, here is a list of affordable and healthy foods. These foods are good for your oral health and the rest of your body as well. Crunchy Foods. Foods under this type promote chewing and gum stimulation. These foods promote the production of saliva that prevents the accumulation of bacteria in your mouth. Fruits and vegetables like apples, carrots, celery, and pears. Foods rich in Minerals. Phosphorus and calcium are a powerful combination when it comes to making your bones and teeth healthy. Calcium is important in making your teeth and bones strong while phosphorus keeps the formation of tissues of your gums. Having healthy gums makes your teeth and bone structures in your jaw protected from bacteria. You can eat almonds, leafy greens, eggs, milk, fish and lean meat for a daily dietary source of these minerals. Tea. A chemical compound found in black and green tea is antimicrobials that slow down the growth of bad bacteria in the mouth. Drink tea to avoid plaque-causing bacteria and prevent tooth decay. Tea can lower the chances of acid formation that damages your teeth. Fermented foods. Probiotics or good bacteria help decrease gingivitis and plaque formation in your mouth. Fermented foods like yogurts, sauerkraut, and miso soup are among the many sources of probiotics. Be sure to look at labels of yogurts and other manufactured products. Always choose the ones with no added sugar and plain ones. Eating healthy doesn’t mean you have to sacrifice taste and flavor. It doesn’t also have to be pricey and financially draining. 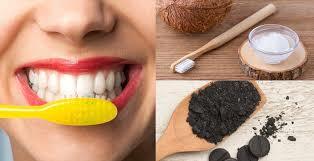 There are numerous foods and drinks that are good and good for your teeth and gums. Don’t let your body miss out on the vitamins and minerals that it so rightfully deserves. Pair up these foods with a good dental care routine and you’re surely safe from illnesses and oral diseases. You should take care of your oral health as it is connected to your body’s overall health. 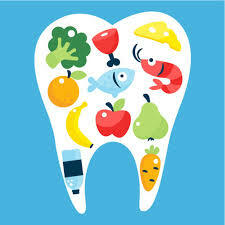 Food choices are there to guide your palate on which foods are actually beneficial to your dental health. It is easy to avoid sugary treats when you choose plant-based products that have the same sweetness yet less damage to your gums and teeth. Your dental health is your responsibility. Don’t settle for the ordinary and the quick fixes that processed foods have to offer. After all, food alternatives are now accessible; from sugar-free chewing gums to sweet but healthful food varieties.